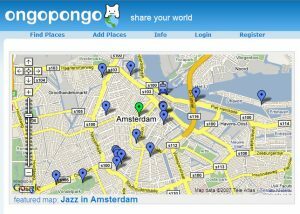 You might have thought nobody was doing this myMaps thing, until you look on Ongopongo, and they’re everywhere, they’re everywhere! 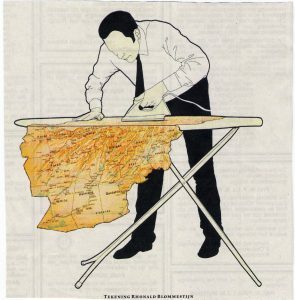 It is now so easy to make your own collections of map information about absolutely anything or nothing. Today I discovered a noodle bar in my neighborhood highly recommended by a young English woman, but alas the noodles were overly salty and the cashews were old. 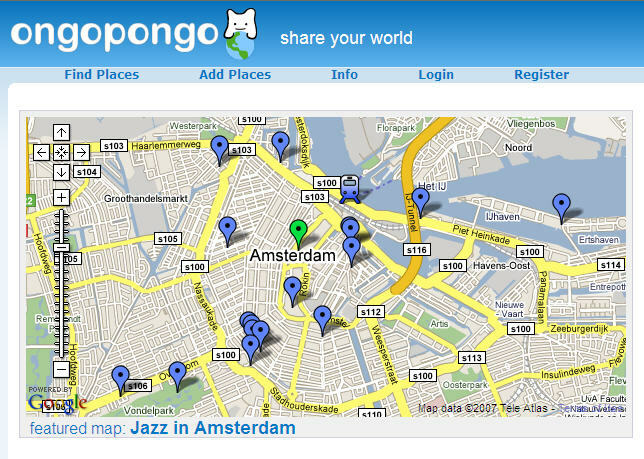 So I removed her map from my mashup collection, making it a “nongopongo”. Update 31/5/2018: Only home page Ongopongo seems to work now. Google maps still does not have a good way to find, for example, all publicly shared “MyMaps” in Amsterdam, or all the maps about noodle bars, etc. No catalogue ability. This illustration by Dutch artist Rhonald Blommestijn is a wonderfully ironic illustration of (Bush?) 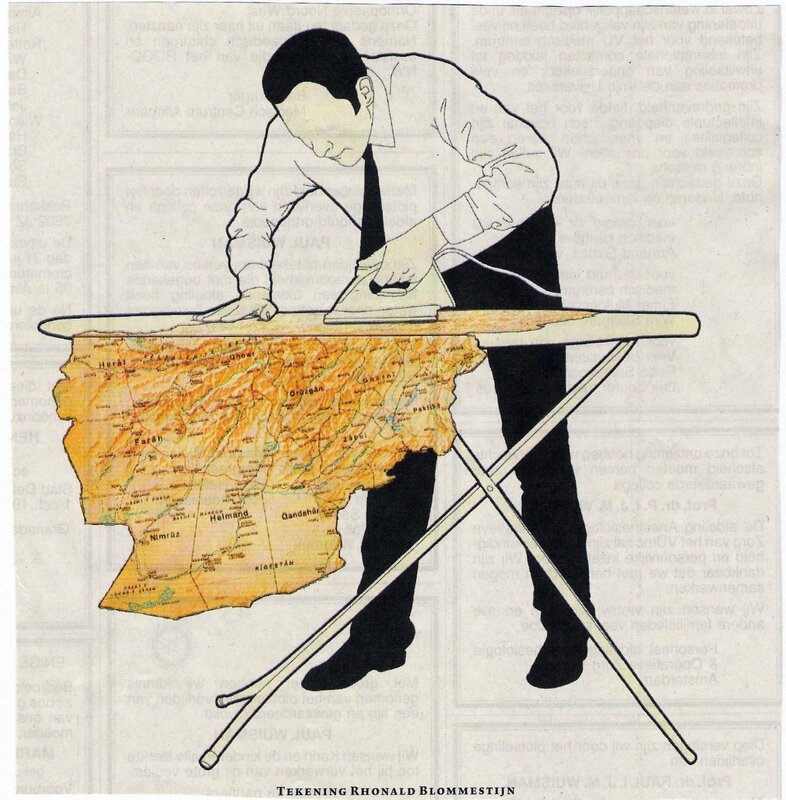 ironing the map of Afghanistan. On his own website, Blommestijn describes himself as: “illustrator of the un-illustratable”. His work is conceptual and philosophical, sometimes informed by Escher and Monty Python. This illustration is reproduced without permission, and it will be removed as soon as someone tells me I should remove it.